Belper cruised past Dronfield Town in the Derbyshire Senior Cup, scoring six goals without reply, including a Kai Hancock hat-trick, writes Nathaniel Kay. 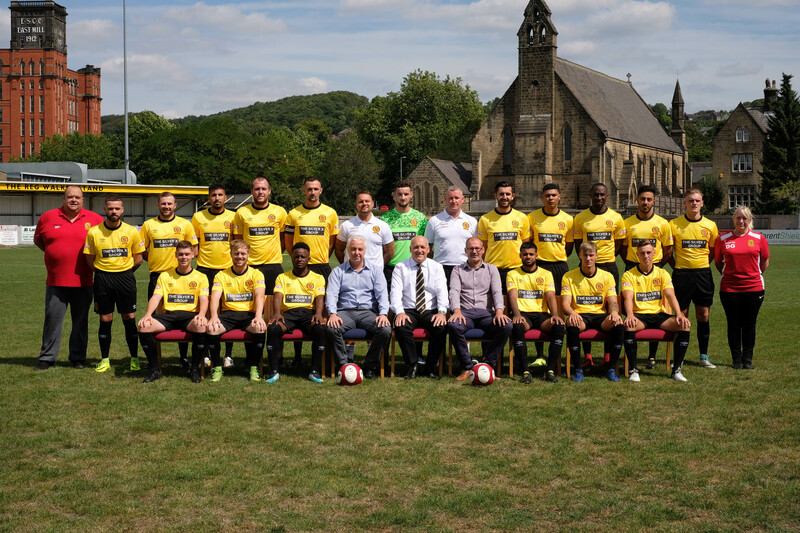 There were a handful of changes in the Belper line up following the disappointing defeat to Brighouse Town, designed no doubt to maintain an air of freshness in a busy schedule. Kai Hancock was given his second start of the season, whilst regulars Jake Sturgess, Danny South and Derry Robson all began from the bench. After an impressive stretch in their league campaign, Belper were looking for an impact against a lower league opposition. It started slowly, as Grant Black’s side began to gauge their unknown opponents. Danny Gordon gave Dronfield a scare as he let fly but the shot was always rising into the night sky. Following the tentative start, Darol Lucas lit up the Silver X Stadium with the opening strike. Piteu Crouz waltzed into space and unleashed the marauding right back, who was well beyond his regular position, but the finish was that of a seasoned striker as he hit his first of the campaign. The goal sparked a spell of pressure from the Nailers, as they subjected the visitors with wave upon wave of attacks and the Northern Counties East League outfit were penned back into defence for much of the time. Alex Peterson must have thought he’d struck a perfect goal , as he turned inside the six yard box only for the most fortunate of deflections to take his goal bound shot onto the crossbar. Belper were completely bossing the game at this point, continuing to come close to finding the net without reward. However the Nailers the second goal right before the half was more than deserved. A routine route one free kick over the Dronfield back line picked out Kai Hancock, who flashed a marvellous first time effort straight into the far corner. After the interval, the game continued to flow in Belper’s favour. Nathan Curtis found himself on the end of slick training ground move after Hancock laid his header on a plate for a striker but his left footed volley was superbly tipped over by Lewis Naylor. Ash Ryecroft could credit himself with Dronfield’s single shot on target, an overly speculative effort that was easily gathered by Leigh Overton. With 20 minutes remaining, the game was over in terms of a contest. Curtis and Hancock had a hand in the goal with fine approach work into the area. The goal itself had an air of fortune, a half clearance fell into the path of substitute Derry Robson, who rolled the ball in for number three. It was all smiles as Belper bagged a fourth five minutes from the end. Unorthodox target man Danny South fell to the turf having been bundled over in the box, and Craig Nelthorpe neatly converted the resulting spot kick. Goals continued to flood in before the final whistle, as Kai Hancock sealed his fantastic individual hat-trick. Steeling in round the back, he reacted like a predator in the penalty box for the fifth before delivering a delicate lob over Naylor to seal a fine Belper performance. Routine victory it may have been, yet manager Grant Black will have welcomed the confidence booster entering a tough set of league fixtures and a cup run will be just what the Belper faithful ordered. Belper Town: Overton, Lucas, Clark (Esmailey 45), Paylor (Robson 45), Peterson, Assenso, Nelthorpe, Gordon, Hancock, Curtis (South 73), Crouz. Unused subs: Sturgess, Colbear. Dronfield Town: Naylor, Cheetham (Siddens 71), Bebbington, Stewart, Gladwin, Bovill, Flower, Ryecroft, Mawbey, Savage, Afondzok (Ord 55). Unused subs: Butler, Fereday.